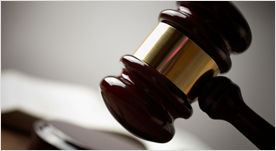 Sheldon Leibenstern is an attorney with over 20 years experience. Sheldon Leibenstern, an attorney with over 20 years experience, takes pride in maintaining a professional, yet personal relationship with all of his clients. His philosophy is simple, to work for his clients as he would care for a favorite relative or special friend. From accidents to all types of injuries to criminal defense, when you retain Sheldon Leibenstern you hire a seasoned professional.